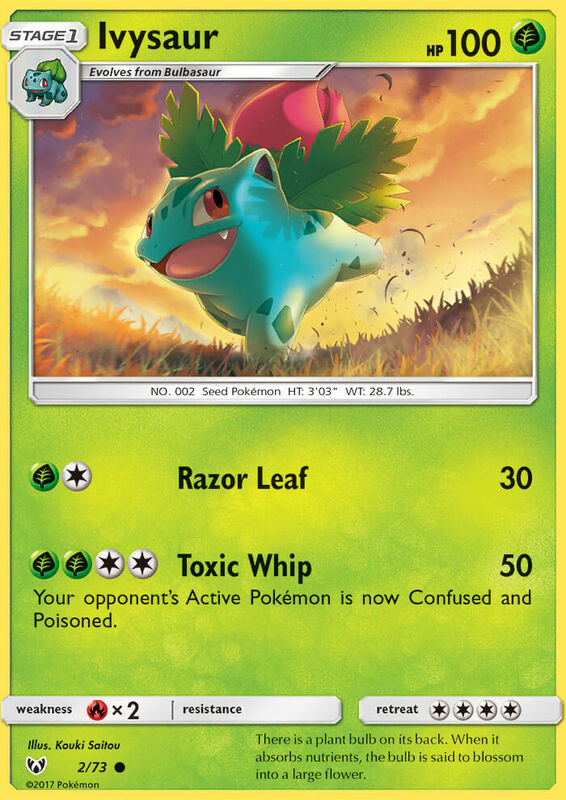 Your opponent’s Active Pokémon is now Confused and Poisoned. There is a plant bulb on its back. When it absorbs nutrients, the bulb is said to blossom into a large flower.